Back when Davao City was not as lustrous and booming as today, the Davao food scene was rather boring. During that 'dark' period, Davaoeños were not that gastronomically adventurous because we only had a few choices back then. Many were not willing to spend that much on fancy restaurants, unless they offer huge discounts which is obviously detrimental to the business in the long run. The sudden influx of businesses and investments which penetrated the city since 2010 had changed the economical landscape, and the mindset of the locals. Through the help of social media, more and more restaurants opened, offering new sets of dishes that will surely make food junkies happy. Last week, I went home to Davao for a quick respite from the daily grind. 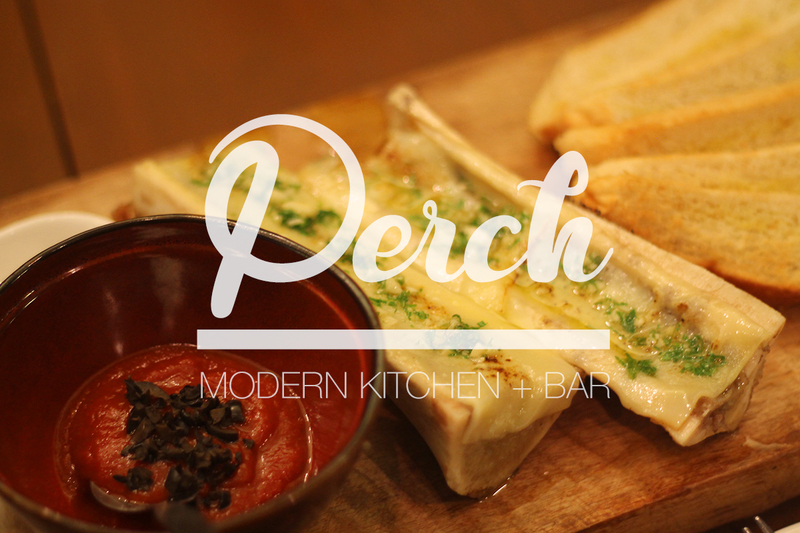 Being a certified food junkie, I asked some of my friends to accompany me to Davao's newest restaurant - PERCH Modern Kitchen + Bar. I really got curious about it because for the past few weeks, my social media newsfeed and timelines were filled with mouthwatering treats from this restaurant. They just recently opened last May and they're located at the al fresco area of Felcris Centrale, Davao's newest shopping destination. And for my visit, we tried their roasted bone marrow which was by the way, an uber delicious yet sinful treat, truffsilog (also a winner), and their candied bacon, one of their bestsellers (and they deserve more exposure in social media than the pabebe girls LOL). But first, allow me to post a few photos of the restaurant. Everything in Perch is instagrammable - the fixtures, the lightings... everything! It makes your food photos, and even selfies more dramatic. And oh, the ambiance was really perfect that it guarantees every customer a great dining experience. And now, the fun part: FOOD! I loved eating bone marrow (hello, Bulalo?!) but I never tried the roasted one. Since this is Perch's rare commodity, you need to reserve an order at least a day before feasting this sinful treat. Also, you need to gobble it right away because bone marrow, when left behind for a few minutes will transform into a gooey and eeky substance named sebo. 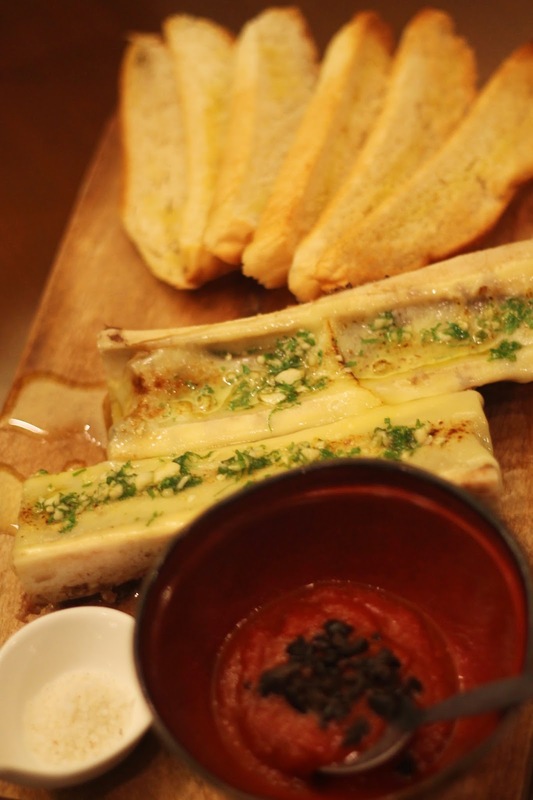 Toasted bread + bone marrow mixed with a rich tomato sauce + a dash of salt = foodgasm. You can never go wrong with bacon. You'll never get tired of bacon. Because, duh, bacon. Eating a candied bacon was truly challenging since I wear dental braces. I took the risk of eating it since chances of destroying my dental brackets were high and the cost of replacing it was also damn too high. Well, the risk I took was worth it. Ka sarap nito uy! Can't hardly concentrate when I took this photo because masarap man gud! Hence, the wrong aperture setting. Gone in 60 seconds. Joke. I love breakfast food and I can live eating breakfast food all day, and all night. Truffle + the chewy and tender angus beef + sinangag (fried or garlic rice) + itlog (egg) = an ultimate breakfast meal. This is so far the best 'silog' meal I have ever tasted in Davao. The serving is good for two people, but if you ask me, I can finish this in less than five minutes. Rated SPG - super patay gutom. Lol. The price? Php 230. Not bad! I had a fantastic dining experience at Perch. The service was fast and efficient. The ambiance was perfect, as well as the food. I can't hardly wait to be here again and try their Perch Angus Rising Sun Burger, Grilled Salmon and Cheese Risotto, and their Whisky Barbecue Chops. Don't forget to like them on Facebook! Sobrang winner ng mga food nila!